Accepted onto LWA programme for book project Russia in 2017. Gave first interview in Russian for Rutáge, a Russian London lifestyle magazine. Starred in BBC Three’s campaign ‘Perfect Day’ which was aired on the BBC, shown in cinemas and even appeared on Piccadilly Circus’s electronic billboard! Performed AUNTIE at the Edinburgh Fringe Festival from the 8th-20th August and received a ★★★★ review from To Do List, a ★★★ review from the The Scotsman and a highly complimentary review from The Guardian. Gave an interview to Music Box Radio’s African Beats & Nice Vibes, where AUNTIE took to the airwaves and di Vino discussed influences and for the character. Was interviewed by Resonance FM’s Make Your Own Damn Music, executing my first on-air performance of AUNTIE. As part of Cocoa Butter Club, performed AUNTIE to a riotous audience, the performance recorded by the BBC 3 for the 2017 documentary Queer Britain. In collaboration with Black History Month, AUNTIE did a tour of Hackney venues, including Hackney Attic at the Picturehouse, and gave first radio interview for Hoxton Radio. Performed AUNTIE at the Camden and Edinburgh Fringes, receiving a ★★★★ review from The Open Door. Premier of Gavino di Vino’s play AUNTIE receives a positive review from A Younger Theatre. Invited to perform an excerpt of Dylan Thomas’ Under Milk Wood and di Vino’s own poem To Continue a Legacy by food artist Caroline Hobkinson as part of the Soho House Last Supper event. Anthony Lycett photographs Gavino di Vino for his Self Styled photo exhibition, detailing the most exuberant dressers of London. Gavino joins the NYC Downlow crew at Glastonbury Festival, working as a dragulous ticket booth seller and performing in the club. As part of Dazed magazine’s #dazedgeneration campaign, di Vino models in a photoshoot and shares opinions on current politics affecting young people. 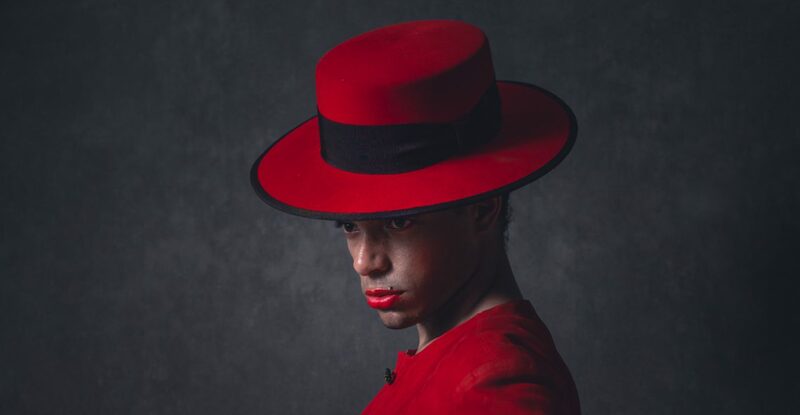 Gavino features in the TfL’s campaign Free the Night, photographed by Alice Rainis. LA based Reflekt magazine interview Gavino after meeting at London Fashion Week. They talk style, influences and how to remain fabulous on a budget! Gavino di Vino, in his first media acknowledgement, receives a mention for his uninhibited behaviour in Getintothis, a Liverpool based reviewer.